Enjoy a healthier alternative to chips and guacamole! 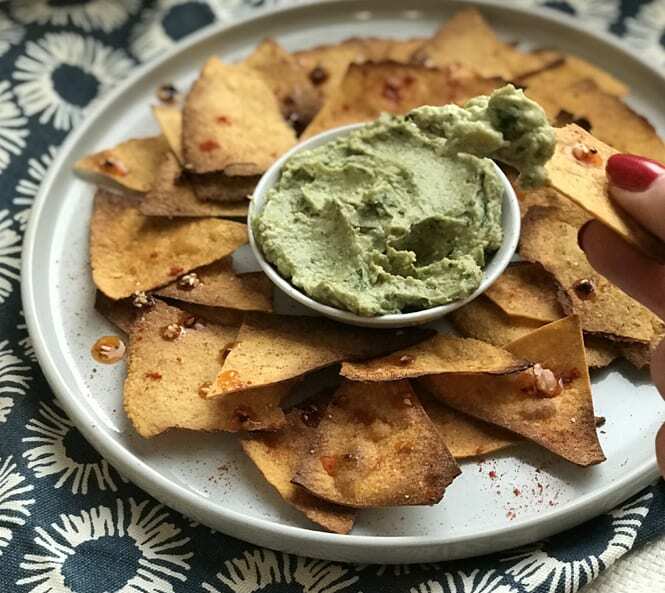 Our Ripened Avocado Halves are a perfect and convenient base for your dip and pair delightfully with crispy, crunchy sweet potato chips. They’re great to snack on throughout the day or to enjoy as a starter to your main course. Slice two to three wraps into small triangles. Place on a baking tray and drizzle with olive oil, season with salt. Cook for approximately seven to ten minutes until golden brown and crisp. In the meantime, make the avocado pesto by blending the walnuts, avocado (let the halves defrost first), lemon juice, garlic, basil, salt and pepper. Add the olive oil and blend again. Taste and add more seasoning if needs be. Once the tortilla chips are cooked, arrange on a plate, sprinkle with paprika and serve alongside the pesto.